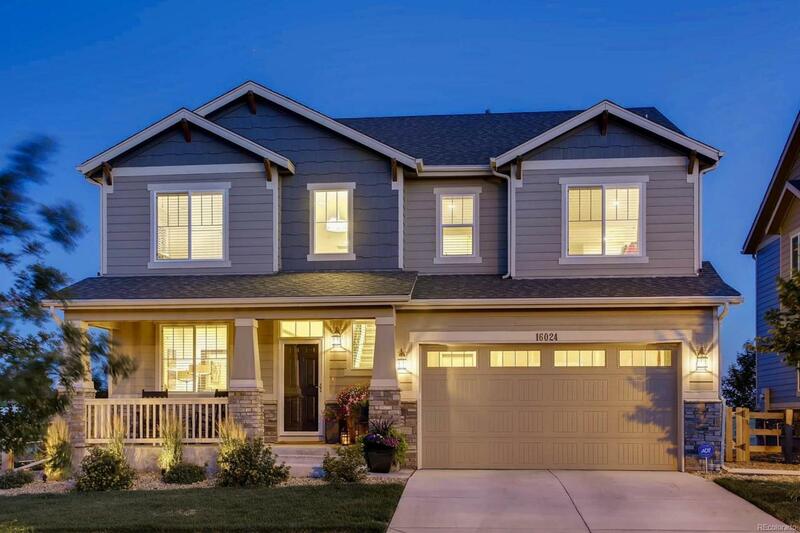 This extraordinary home is situated in a premier setting in the heart of the Buffalo Run golf course community.This very special meticulously kept semi-custom home is a tranquil escape from the City, yet located just minutes from everything Denver has to offer! The gracious floor plan includes an open kitchen with custom cabinets, quartz countertops, glass backsplash, under cabinet lighting with all upgraded appliances. Custom hardwood floors and stain through out main level. Property has just about every upgrade offered from Lokal homes, upgraded lighting package, baseboard and casing upgrades, tile upgrades in all bathrooms, plumbed for solar panels, iron balusters and custom railing, duel nest climate controlled, exterior landscape lighting, gas line for fire pit, waterproof carpet pad. This smart home offers Phillips hue voice activated lighting and a WI-FI washer. Home has an 8 year structural Warranty and a homeowners warranty. This CREAMPUFF is a must see! !